County Executive Mary Ellen Odell outlined a $142.9 million budget last evening (Wednesday) during her annual budget message. A large gathering attended the presentation at the newly refurbished Putnam County Golf Club’s banquet hall. Budget … Please login below or purchase a subscription to the Putnam County Courier to access this content. A tragedy of monumental proportions was averted in Mahopac Friday when according to Carmel Police a Mahopac woman talked her husband out of killing her and then taking his own life. Police Chief Michael Johnson said the unidentified couple had been … Please login below or purchase a subscription to the Putnam County Courier to access this content. 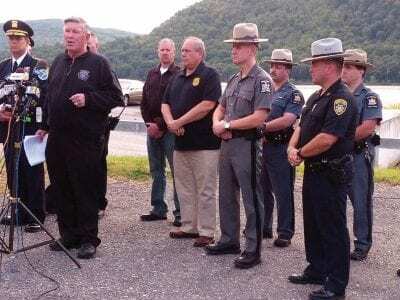 Sheriff Donald Smith at a news conference Friday, announcing the manhunt was being scaled back. This story was reported by Tim Greco, Eric Gross, Annie Chesnut, Douglas Cunningham & Carol Balducci. Monday midday came word that Sang Ho Kim, sough… Please login below or purchase a subscription to the Putnam County Courier to access this content. 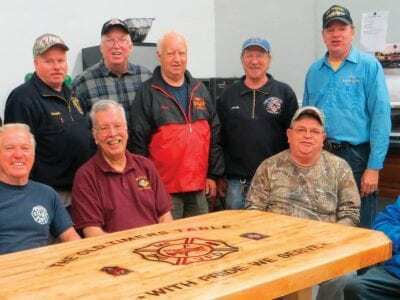 Members of the Old Geezers Club at the Mahopac Falls FD recall days of yesteryear gathered around their new commemorative table. They call themselves the “Old Geezers!”—eleven long time members of the Mahopac Falls Fire Department with a combined tot… Please login below or purchase a subscription to the Putnam County Courier to access this content. Clockwise from above: Dahlia Neff, 3, enjoys holding a fire hose under the watchful eyes of Lake Carmel firefighters Jess Ryan and Bryan Pratt while her dad, Ed Neff looks on. Kent Police Officer Alex Vanderwoude and his new canine partner Radar are … Please login below or purchase a subscription to the Putnam County Courier to access this content. Norma Pereira and Paula Mora work with young children at last week’s initial session while their parents attend the formal class. 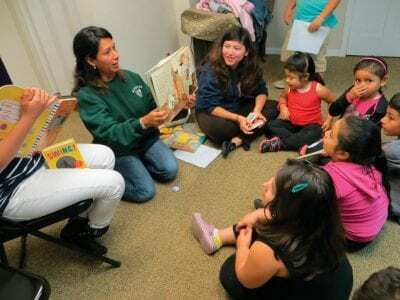 Below: Judy Marano teaches Putnam’s newest residents language skills at the first session of the program. Do… Please login below or purchase a subscription to the Putnam County Courier to access this content. The Mahopac Public Library Board of Trustees, Staff, and Friends of the Library, along with Town of Carmel Supervisor Kenneth Schmitt, invite all residents of Mahopac to “Pat Kaufman Day” on Thursday, October 10th, from 10 a.m. to 8 p.m…. Please login below or purchase a subscription to the Putnam County Courier to access this content. To the Editor: It was gratifying to finally hear one broadcaster echo my sentiments about moderate Muslims. A Fox News commentator asked the magic question – why are the moderate Muslims not condemning the actions of the extremist Muslims? I have a … Please login below or purchase a subscription to the Putnam County Courier to access this content.